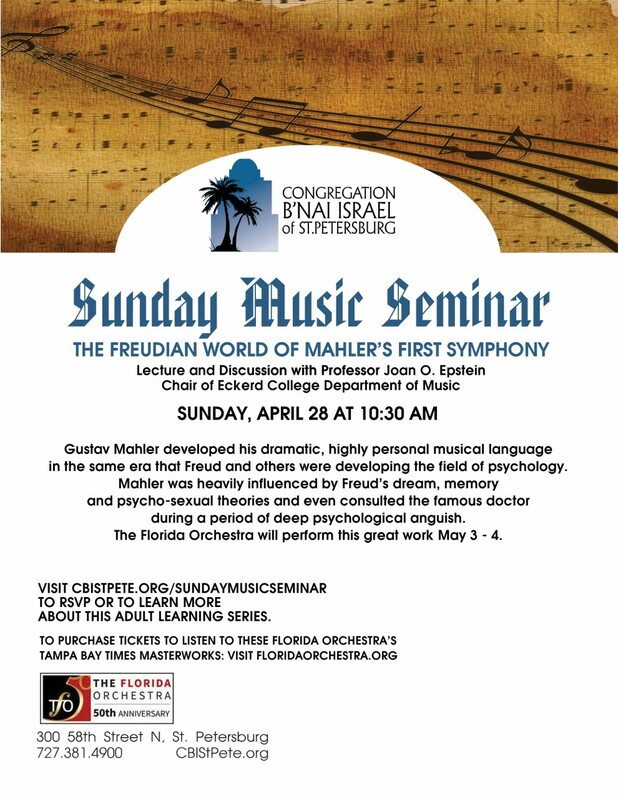 Gustav Mahler developed his dramatic, highly personal musical language in the same era that Freud and others were developing the field of psychology. Mahler was heavily influenced by Freud’s dream, memory and psycho-sexual theories and even consulted the famous doctor during a period of deep psychological anguish. The Florida Orchestra will perform this great work May 3 - 4.